Yesterday I took myself down to the wool shop and spent an enjoyable half hour choosing balls of wool for my next project. 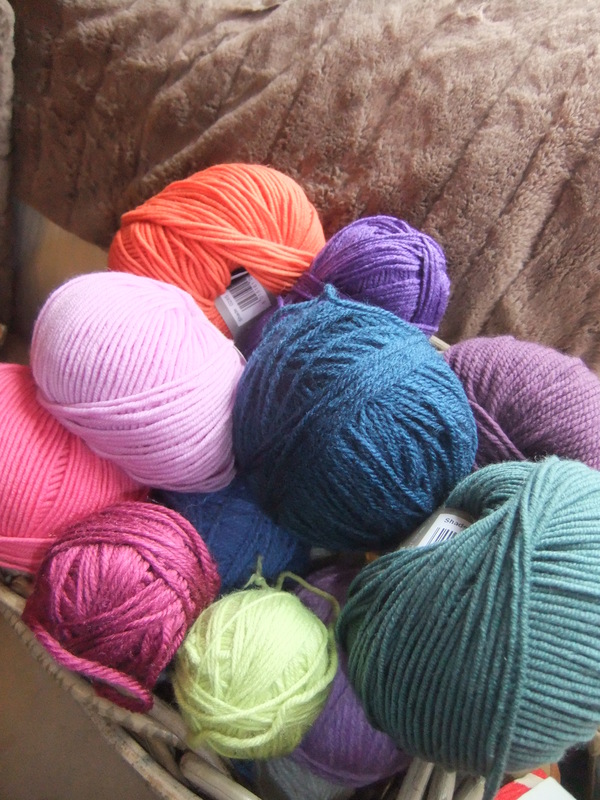 I found some gorgeous merino wool 50% off and thought that they would compliment my existing stash. I’ve already decide that my next big project will be a Blooming flower cushion, so to as a little diversion on a Sunday afternoon I thought I’d make Poppy a little flower brooch. 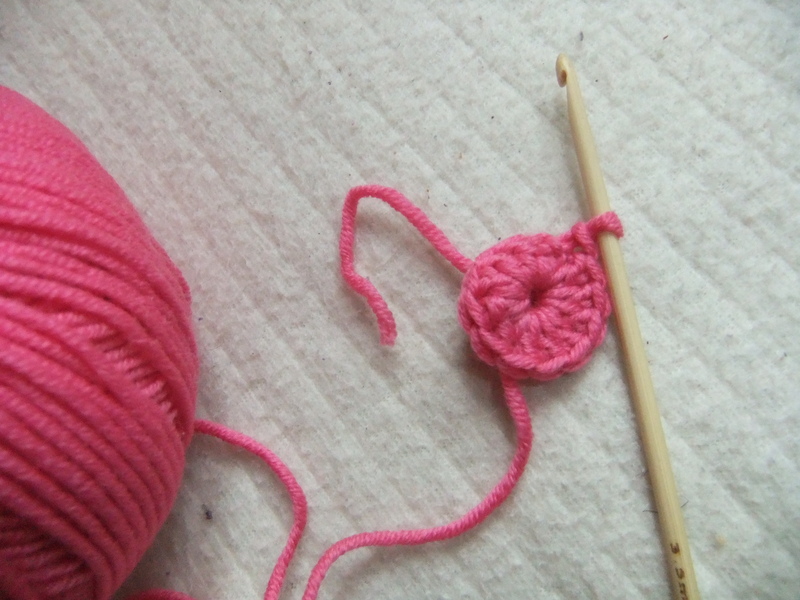 I started by doing several chains with pink merino (which is just so soft – I’ll be buying more!) then linked them together to make a round. 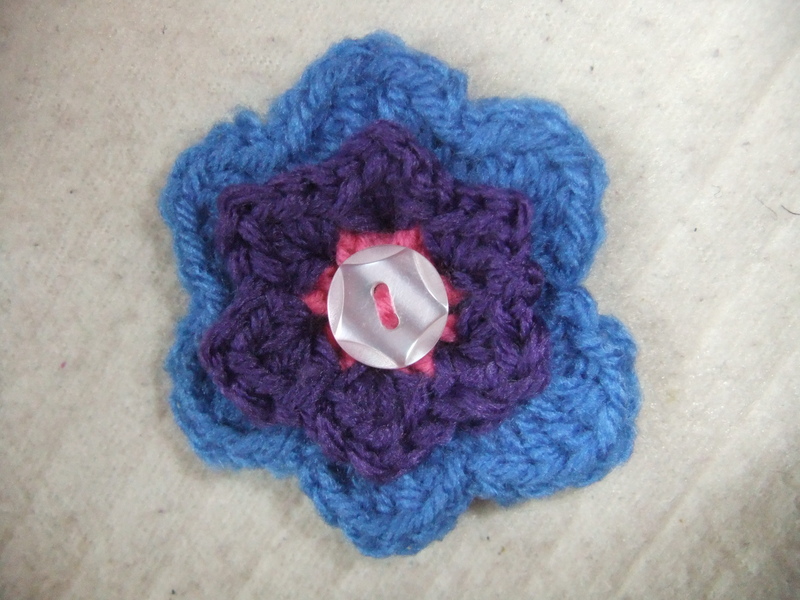 I did a 2nd round with some blue yarn and then a final smaller round with a purple yarn. A safety pin was sew onto the back and a button onto the front. 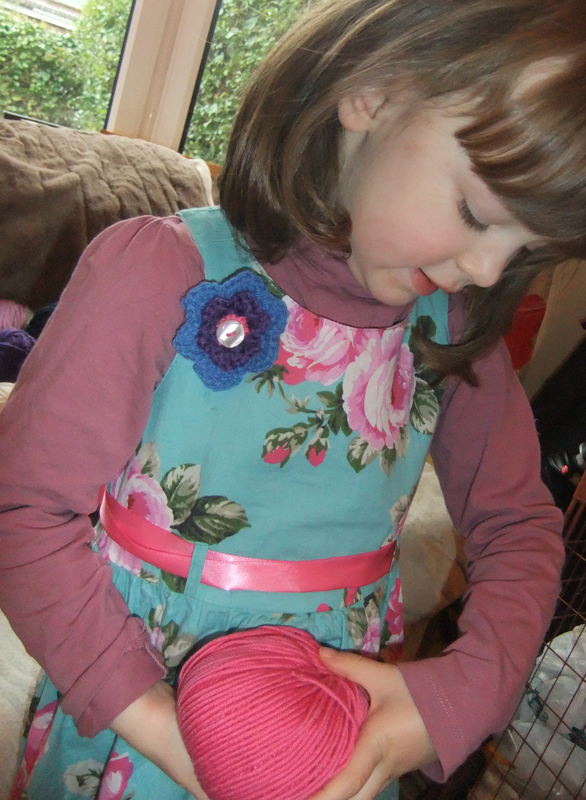 It was good to practice some stitches again and Poppy seems to like her new brooch (and my wool). 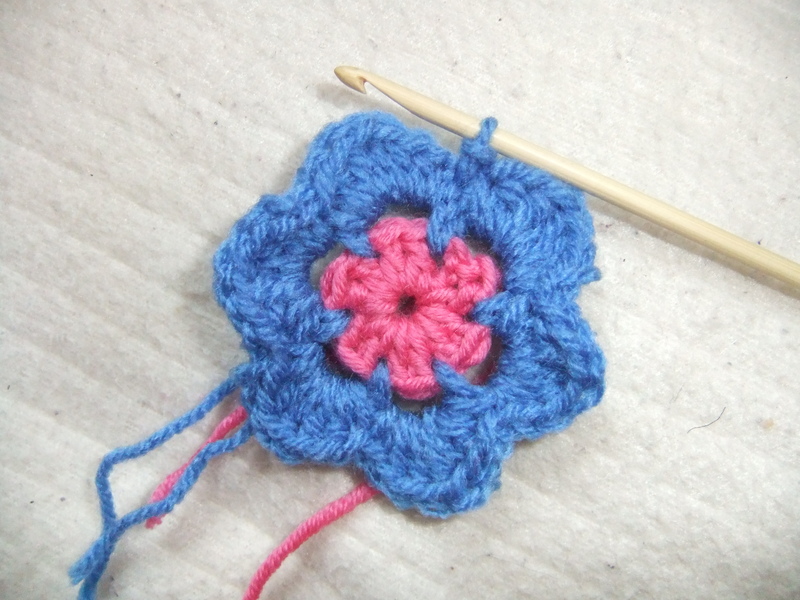 Blooming flower cushion here I come!